The government of Quebec has planned to increase its job market by allowing more immigrants. 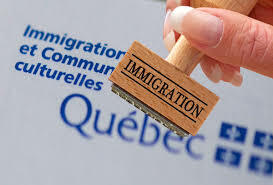 According to the plan, Quebec will permit 50,000 immigrations from more than 100 countries every year till 2015. This is interesting news for all immigrants who wish to settle in Quebec. According to a study, a majority of immigrants selected as workers found a job that suits their qualifications within 5 years of their Quebec immigration. Generally, the entire labor market of Quebec is good but Montreal has more opportunities with a large number of business firms. Due to which most of the Quebec immigrants choose to settle in Montreal region. Several business sectors of Montreal like information and technology, tourism industry, health and science fields are found to have good growth. Following are a few examples of occupations that are expected to have the highest rate of job growth in coming years. Overseas Skilled candidates can benefit from this great opportunity offered by Quebec government. Be aware of Fake Universities in UK! I am Bangladeshi graduated general & family physician worked government hospitals last 11 years. I want to migrate with job visa for my carrier & my family. Thanks. Thanks for this great information. To admit 50,000 new immigrations from more than 100 countries every year – this is encouraging news. It has helped me in knowing what to do.